The Archbishop of Catholic Archdiocese Port Moresby is calling on the National Government to act immediately to address the issue of climate change in Manus. Cardinal Sir John Ribat made this call in Port Moresby, following a visit to the province last week, accompanied by Catholic Bishops Conference Secretary General Father Victor Roche. Cardinal Sir John Ribat said Manus used to have 268 islands but is now only left with 206. Close to 300 families from the Andra and Ahus Islands are being affected by the rising sea levels. He adds that the seawall they built using coral is being depleted and they are slowly losing their marine life as well due to the loss of corals in the area. 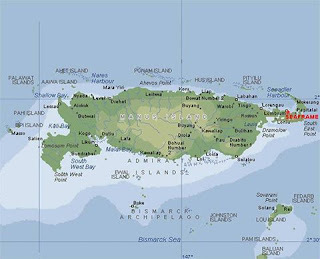 Cardinal Sir John said the islanders will also be facing the prospect of being relocated if nothing is done immediately. "I'd like to call on the government to think seriously and try to put money aside to cater for our people on Manus," he said. "This is only the beginning of more problems to come.